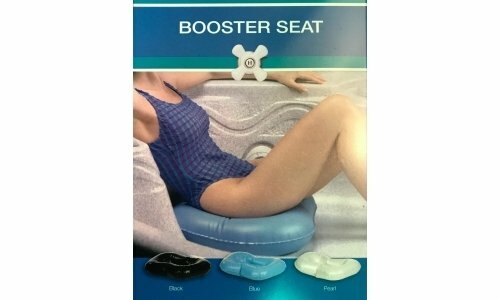 A Versatile water filler seat that adds to the comfort and convenience of enjoying the spa. Use as a booster seat or back support. Made of durable chemical-resistant vinyl.